Butler Gas Products Company has been western Pennsylvania’s premier distributor and manufacturer of compressed gases and welding supplies for more than 65 years. The company is committed to delivering safe products and services that drive sustainable growth and profitability for its customers. Butler Gas approached TrackAbout with the need to increase cylinder tracking accuracy. The company’s previous system required significant amounts of manual data entry, which resulted in high error rates. Customer audits to reconcile cylinder disputes were slow and cumbersome, typically taking several days to complete. Incorrect cylinder balances often led to under-collection of rental revenue, negatively impacting the company’s bottom line. Butler Gas wanted a new cylinder tracking software system that could support its internal goal of achieving 100 percent accuracy while making it easier to consistently provide exceptional customer service. 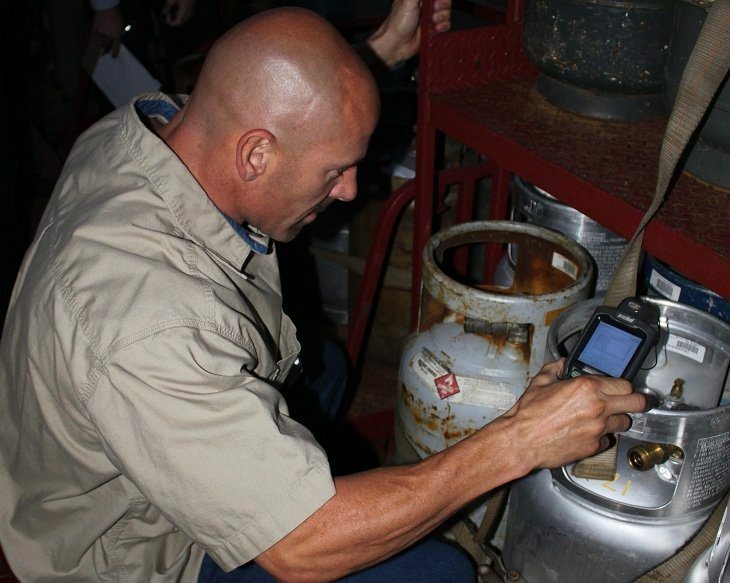 Butler Gas began by integrating TrackAbout Core Tracking with its accounting system, which automated the tracking process and virtually eliminated errors. “We’re very focused on accuracy and getting it right, and Core Tracking really helped us do that,” said Sandy Gobrish, executive vice president at Butler Gas. The addition of Follow-On Tracking® a year later gave customers access to their own cylinder records, providing a shared view of the truth that greatly reduced balance disputes. Additional TrackAbout modules enhanced accuracy and efficiency. TrackAbout Rental has improved profitability with a five percent increase in rental revenues. The Fill Plant automation feature allows staff to keep production records current and correct by scanning cylinders being refilled. Truck Load and Manifest reconciles assets loaded and shipped to customers against day-end returns, creating a whole new layer of cross-checking. And the introduction of the Maintenance module enables the company to barcode its banked cylinders by aggregating them into one tracking number and easily track maintenance actions performed on all their owned assets. The high degree of accuracy Butler Gas has achieved through TrackAbout has become a huge competitive differentiator. “We’re the only one in our area with a closed-loop system to track cylinders with barcodes and serial numbers—for every customer, on every cylinder we own, every time,” Gobrish noted. Cylinders are always credited to the right account, regardless of who returns them. “Because our customers trust us and believe in our system, they’re more likely to be lifetime customers,” Gobrish said. As a result, the company’s business continues to grow. Productivity has also increased. Customer audits take hours instead of days, making it easy to conduct them more often. Automated reports lend credibility to results, enhancing customer satisfaction and minimizing conflicts about rental bills.